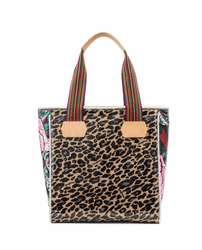 With the Hobo you can choose how you want to rock your look! 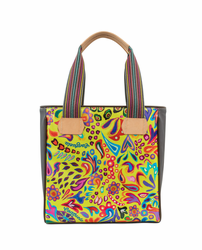 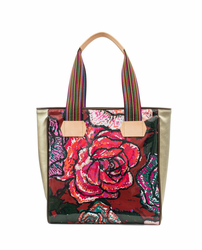 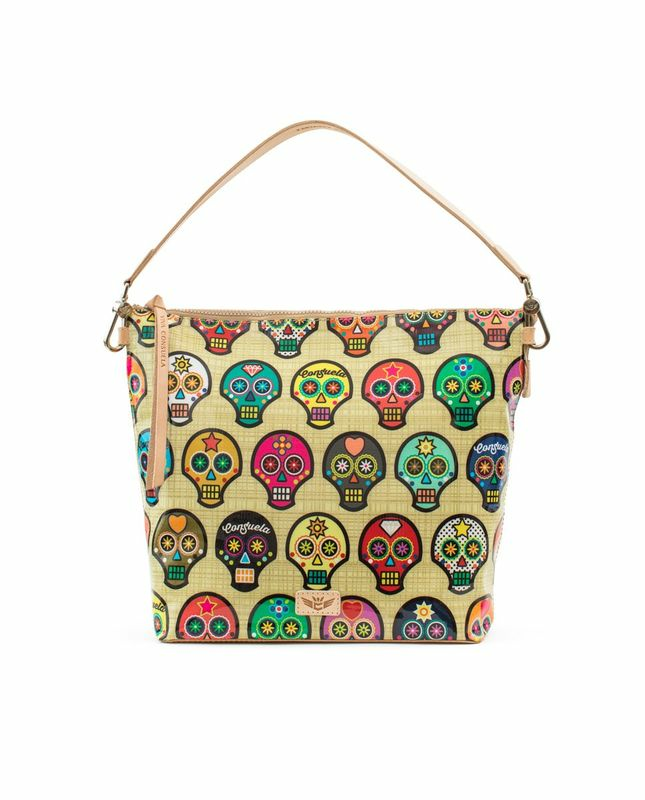 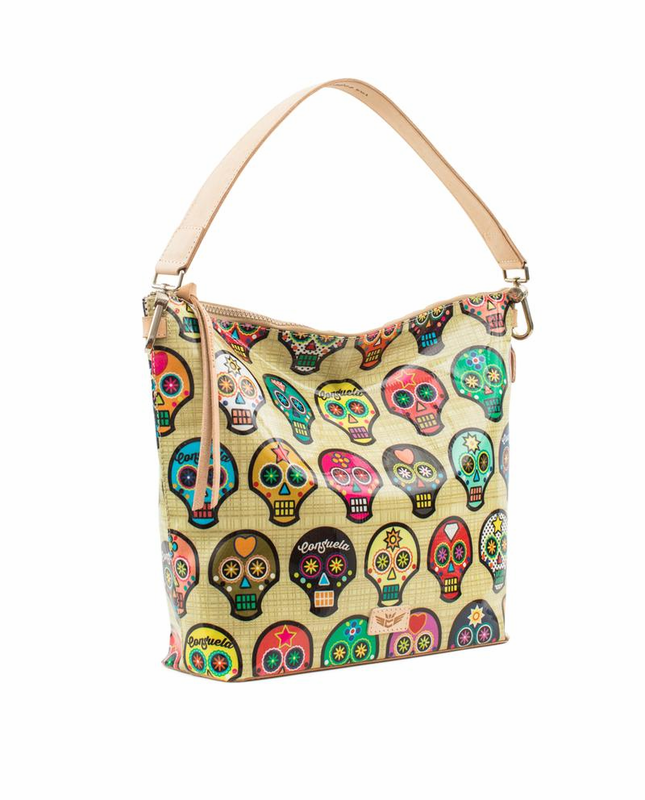 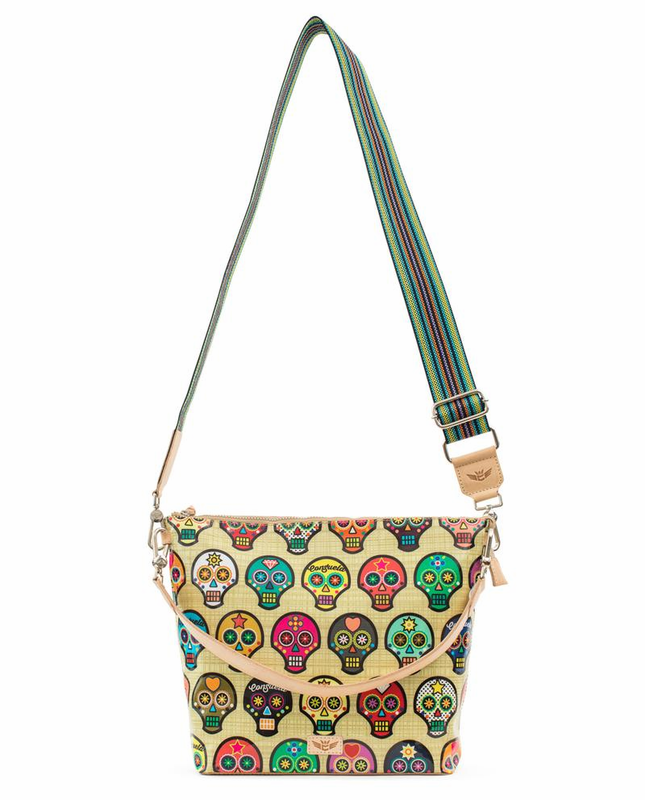 This top zip bucket bag in Sugar Skulls ConsuelaCloth™ features two removable straps, one crossbody webbing strap, and one shorter natural leather shoulder strap. 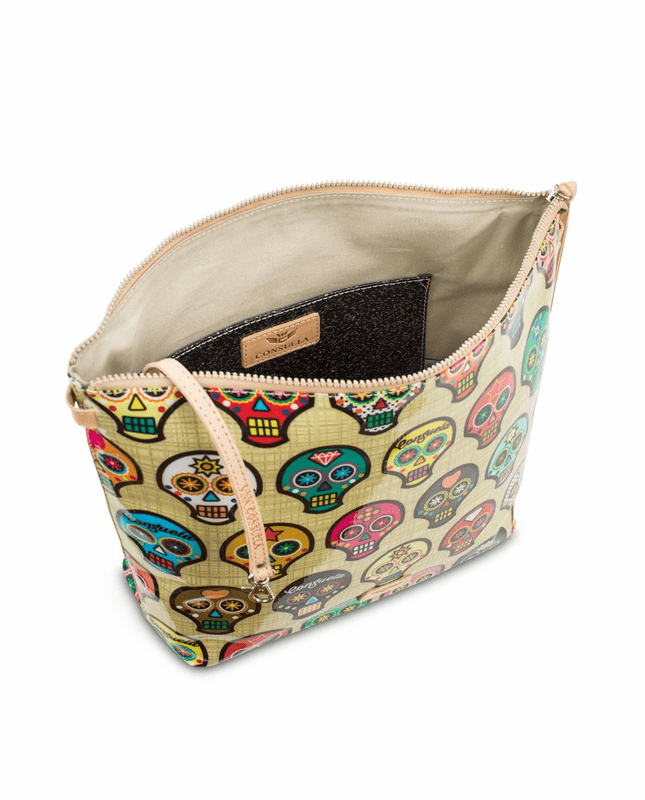 Lined in a natural canvas with a contrasting Black Dot slide pocket for your precious items, you’ll have plenty of room to spare!